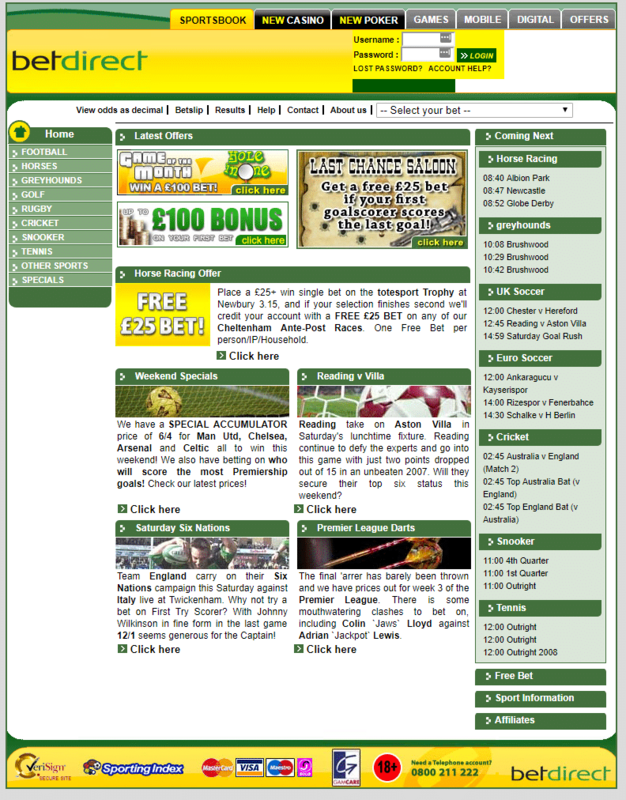 Betdirect used to be a bookmaker, first offline (established in 1923) then online from 1998. Betdirect (also known as Littlewoods Bet Direct) has been successively owned by 32red then Stan James in 2009. From this date, betdirect.net was redirected towards stanjames.com (now part of the Kindred Group, the group behind Unibet). The site always focused on sports betting, both on desktop or mobile, offering to bettors the best welcome bonuses, the top odds and a wide range of markets (Sports, horse racing, greyhounds) and various betting options. Betdirect.net is now a guide for online betting.